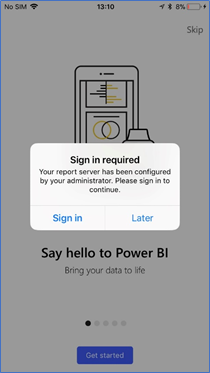 The Power BI mobile apps deliver live, touch-enabled mobile access to your on-premises business information in Power BI Report Server and SQL Server 2016 Reporting Services (SSRS). The mobile apps are where you view Power BI content, not where you create it. You and other report creators in your organization create Power BI reports with Power BI Desktop, then publish them to the Power BI Report Server web portal. You create KPIs right in the web portal, organize them in folders, and mark your favorites so you can find them easily. You create Reporting Services mobile reports with SQL Server 2016 Enterprise Edition Mobile Report Publisher and publish them to the Reporting Services web portal. 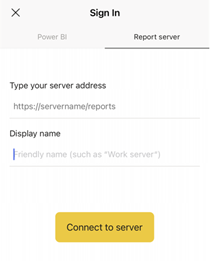 Then in the Power BI mobile apps, connect to up to five report servers to view the Power BI reports and KPIs, organized in folders or collected as favorites. Even if you don't have access to a Reporting Services web portal, you can still explore the features of Reporting Services mobile reports and KPIs. Tap the global navigation button in the upper-left corner, then tap the gear icon in the upper right . Tap Reporting Services samples, then browse to interact with the sample KPIs and mobile reports. 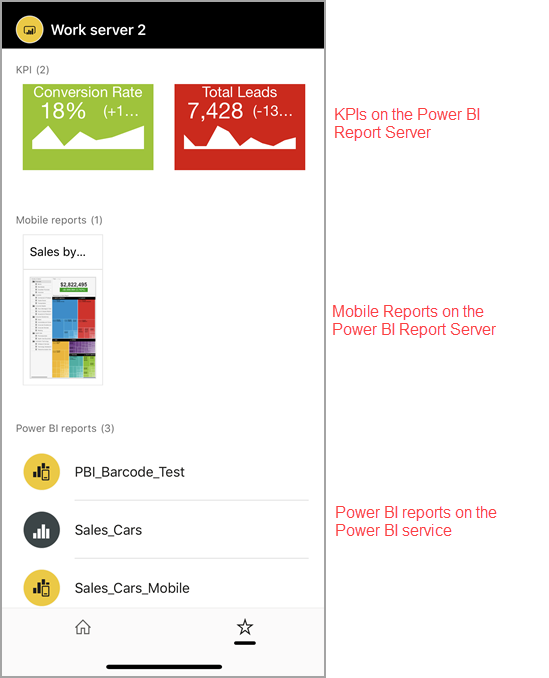 You can view on-premises Power BI reports, Reporting Services mobile reports, and KPIs in the Power BI mobile apps. 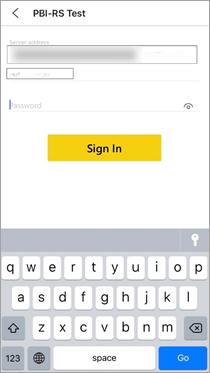 On your mobile device, open the Power BI app. 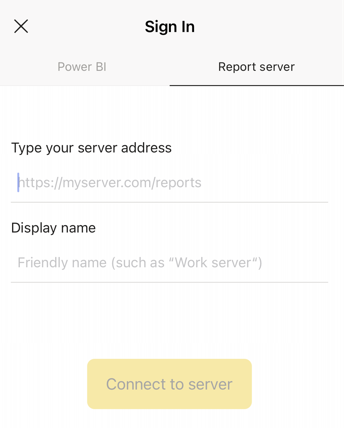 If you haven't signed in to Power BI yet, tap Report Server. If you've already signed in to the Power BI app, tap the global navigation button , then tap the gear icon in the upper-right. Being on the same network/using VPN is the easiest way. It's possible to use a Web Application Proxy to connect from outside the organization. See Using OAuth to connect to Reporting Services for details. Open a connection (port) in the firewall. Include http or https in front of the connection string. (Optional) Under Advanced options, you can give the server a friendly name, if you'd like. 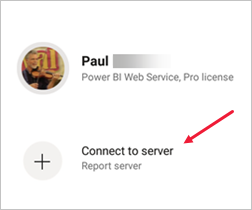 Now you see the server in the left navigation bar--in this example, called "power bi report server." If you're viewing Power BI in the iOS mobile app, your IT admin may have defined an app configuration policy. If so, your experience connecting to the report server is streamlined, and you won't have to provide as much information when you connect to a report server. You see a message that your mobile app is configured with a report server. Tap Sign in. On the Connect to server page, the report server details already filled in. Tap Connect. Type a password to authenticate, then tap Sign in. Now you can view and interact with KPIs and Power BI reports stored on the report server. 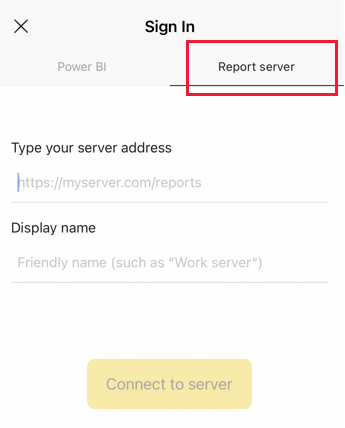 Power BI reports, Reporting Services mobile reports, and KPIs are displayed in the same folders they're in on the Reporting Services web portal. 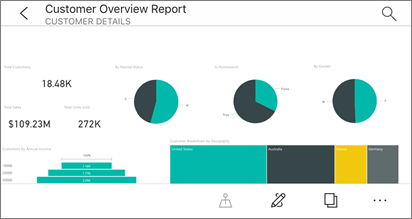 Tap a Power BI report . It opens in landscape mode, and you can interact with it in the Power BI app. Drill down and up is currently not enabled in Power BI reports on a Power BI Report Server. 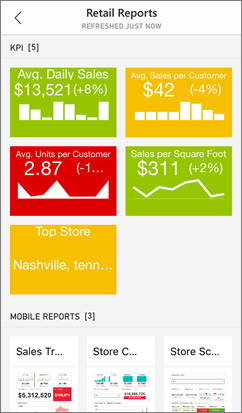 In Power BI Desktop, report owners can optimize a report for the Power BI mobile apps. 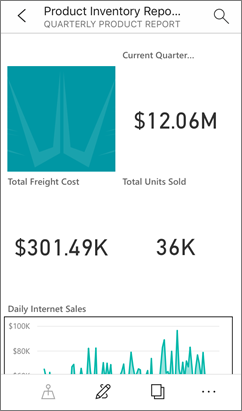 On your mobile phone, optimized reports have a special icon, , and layout. Tap a KPI to see it in focus mode. You can mark KPIs and reports as favorites on the web portal, and then view them in one convenient folder on your mobile device, along with your Power BI favorite dashboards. At the bottom of the left navigation bar, tap Settings. Tap the server name you don't want to be connected to.